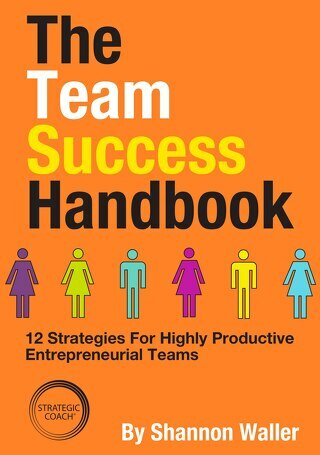 10 strategies to multiply your success. As an entrepreneur, how do you continue to grow in all areas of your business, and personally too, when that growth is built on unsettling change? How do you avoid getting “stuck”? The key to exponential growth is developing what we call a Multiplier Mindset®, one of the ways to create a Self-Managing Company®. It’s a mindset that the top one percent of entrepreneurs have, and it’s all about multiplying results in every area in which you’d like to see major growth. It’s a way of thinking that naturally increases results. 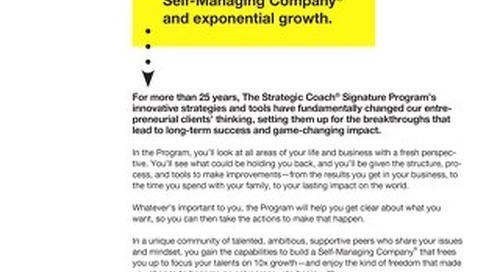 In this free guide, Dan Sullivan, creator of The Strategic Coach® Program, shares the 10 Multiplier Mindset strategies that move successful entrepreneurs to the top of their industries—and keep them there. 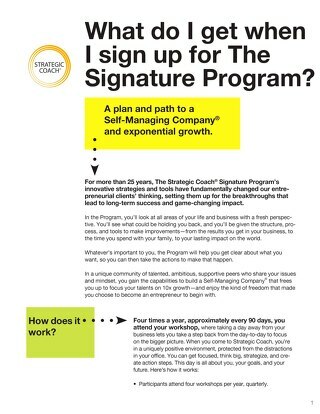 What Do I Get When I Sign Up For The Signature Program? 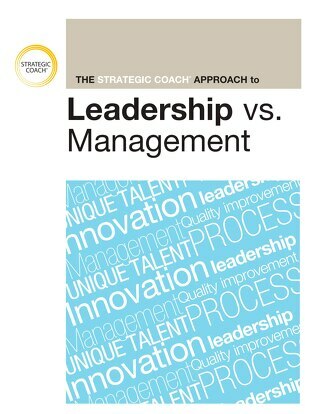 Discover if Strategic Coach is right for you. 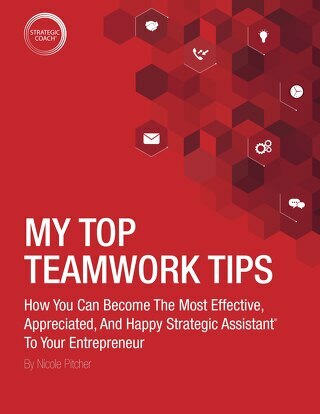 Discover the often-untapped partnership that can produce the fastest, best, and most rewarding growth in any entrepreneurial company—the teamwork between entrepreneur and Strategic Assistant®. 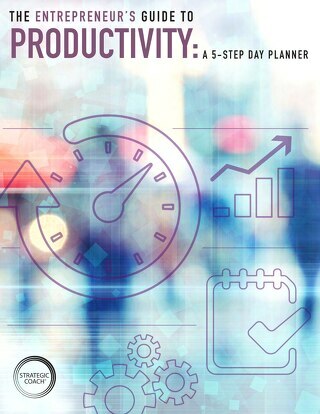 In this productivity planner, you’ll learn the 5 strategies Dan Sullivan, Strategic Coach founder, uses daily to achieve his most productive working day, no matter what his day involves. Educating your team on the most fulfilling and beneficial mindsets to have when working in an entrepreneurial environment isn’t always easy. 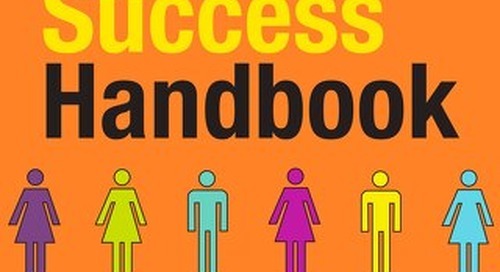 We’ve designed a training manual to do it for you. 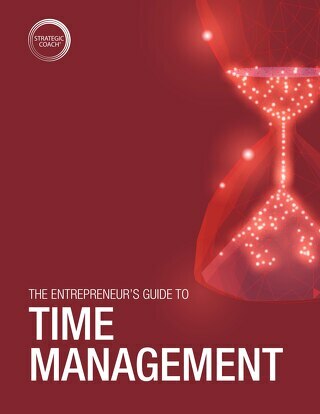 Our Entrepreneurial Time System® will completely change any notions of how you should be spending your time to grow your business. Learn how top entrepreneurs use its three specific types of days. Learn the five distinctions between managers and leaders to get clear on your role in your business and to be sure you have the right team members in place to support you. 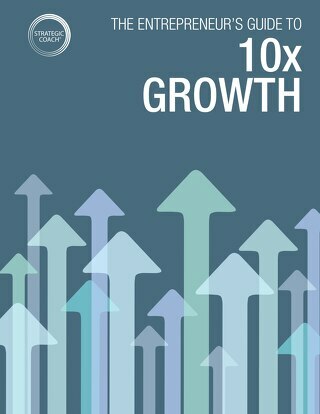 The 8 transformations in this guide provide the path to growing your success 10x while enjoying greater freedom and simplicity in your life. 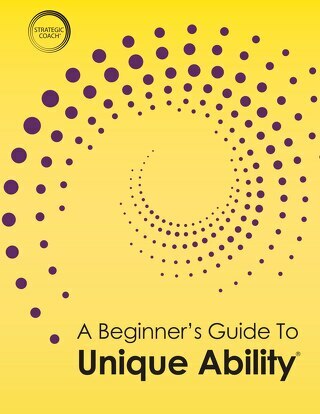 Have you heard about Unique Ability® but aren’t sure where to start? We’ve got you covered! This beginner’s guide is the resource you need to begin your journey to uncovering the deeper you. Delegating effectively is an essential skill for growing an entrepreneurial company, but it can be challenging to master. 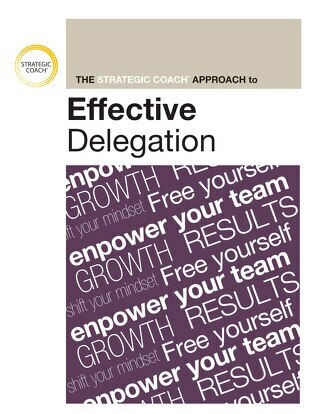 Discover our five steps to effective delegation. 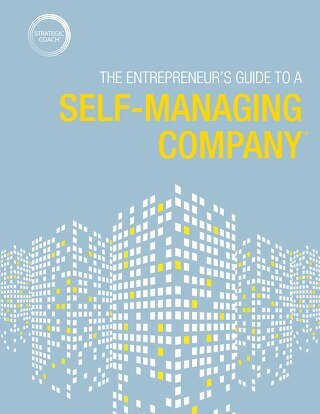 Do you have what it takes to create a Self-Managing Company? 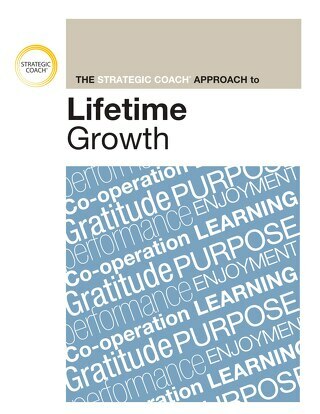 Discover the 10 Laws of Lifetime Growth® that will keep you constantly growing and improving to achieve your bigger, better future. 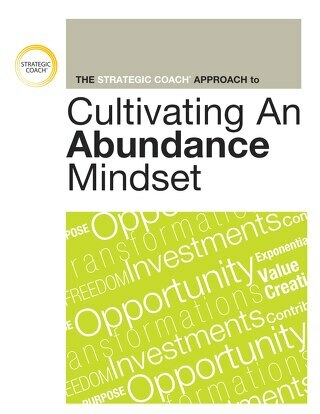 Use the 12 distinctions in this guide to make sure you and your business are always operating with an Abundance Mindset. 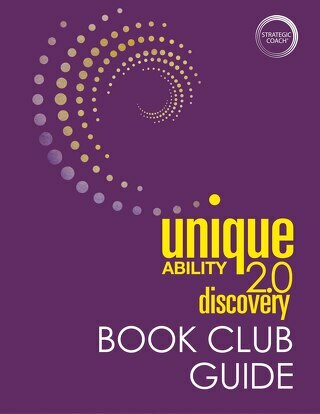 Use our book club guide to lead an engaging journey to discover your Unique Ability®. 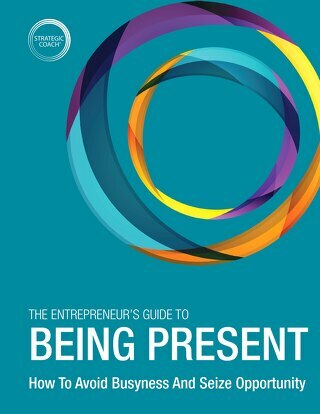 These 12 strategies will dramatically increase your ability to be fully present in all situations. 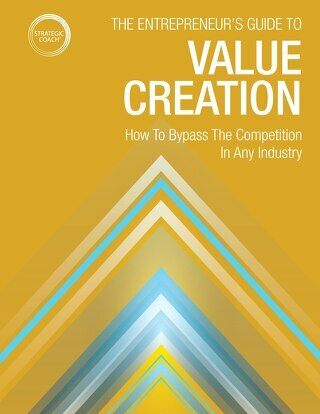 Learn the seven steps to packaging your unique value and provide your clients with a unique experience they can’t find anywhere else.